Your family and agency are in our thoughts and prayers. Thank you for your service to our state! May you Rest In Peace. The men & women of the Abilene Police Department extend their prayers to the family, friends, and coworkers of Police Officer Nicholas Galinger, following his death. His brief service with his agency cannot possibly be the sum of the service and selflessness he administered over the span of his life. We are grateful for his servant heart and committed principles by which he lived. A police officer should be remembered not by how he died, but how he lived! A great man has gone to secure a safe path for the rest of us to follow. Thank you to you, your family and the Chattanooga Police Department. Our country is a little less safe without you. Rest in Peace Brother! 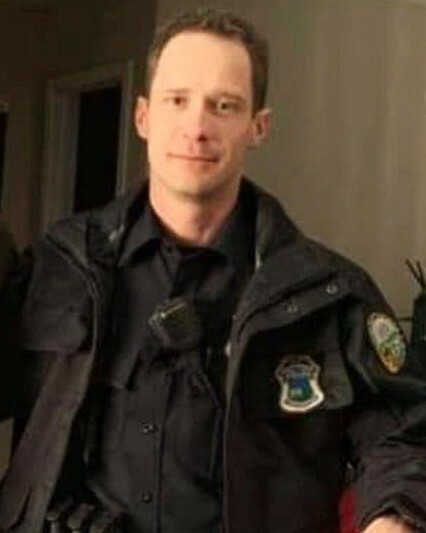 Rest in Peace Officer Galinger. May the Lord grant your family, friends and co-workers peace during this difficult time. Thank you for your service and sacrifice. Rest in peace brother, we'll take it from here. Thank you for your service, you will not be forgotten. Even though your service was short sir, you had the constitution to give this profession a go. Not many have your courage. God bless the family, friends, and co-workers of Officer Galinger during this time of tragic and sudden loss. Thank you Officer Galinger for your dedication and for paying the ultimate price for the fine folks in the great state of Tennessee. You are a true American Hero !!!! My thought and prayers are with your family, friends and co-workers. May you forever, rest in peace, my brother. Thank you for your sacrifice officer, may you rest in peace. On behalf of POINT 27, we would like to offer condolences for Officer Nicholas Galinger. Please know we are eternally grateful for Nicholas’ service and his ultimate sacrifice. To honor Officer Galinger, POINT 27 sent 27 Thin Blue Line Dog Tag Necklaces, engraved with “Blessed are the Peacemakers for they will be called children of God” Matthew 5:9, to the Chattanooga Police Department, for Nicholas’ partner and fellow officers. POINT 27 sent Folded Flag Necklaces engraved with “Greater Love has no one than this; than to lay down one’s life for one’s friend” John 15:13 for Officer Nicholas Galinger’s family. Deepest Sympathy to the family of Officer Galinger and to the Brothers and Sisters of the Chattanooga Police Department, Tennessee. May he Rest In Peace. And may God comfort them all during this time of grief. Your family and friends are in our prayers. On behalf of the Ohio Bureau of Investigation & Identification our thoughts and prayers are with the immediate family of Police Officer Nicholas Galinger and the extended law enforcement family of the Chattanooga Police Department, Tennessee. End of Watch Sunday, February 24, 2019. Final Salute Officer Galinger. Thank you for your service. You are a hero. Rest peacefully in the presence of God. We are praying for the family and fellow officers. The one whose blood runs blue.